Currently there is only one Boeing 717-200 training provider, Boeing Edge Flight Services. Boeing is the main and only provider of training for the 717 jet that we have found. Some of the airlines that are operating the jet, such as Delta Air Lines, Qantas, Hawaiian Airlines and others, may provide training services for the aircraft. Boeing has full training options for the 717-200 that include type rating and maintenance training. Their Atlanta, GA, Miami, FL, Brisbane, Australia and Stockholm, Sweden training facilities provide training for the 717-200. These locations should also have full motion Boeing 717-200 simulators that are used in training. Visit the Boeing site to contact them to find out about Boeing 717 training. Training providers for the jet are limited because only 156 Boeing 717-200 jets were produced and there are only a few airlines flying the aircraft. More information on training for the Boeing 717-200 type rating is located here. 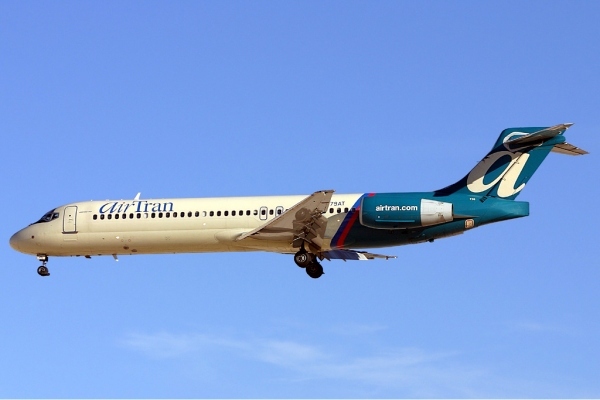 Also the Boeing 717-200 is similar to the other DC-9 series aircraft and there are differences courses available to pilots who are flying certain DC-9 series aircraft to obtain certification on 717. We have not seen the cost for getting certified in the 717 (earning a type rating for pilots). Type rating training usually costs around $20,000 dollars USD. If your company provides Boeing 717-200 training services, contact our aviation resources team to get your company listed here at no cost. Above Boeing 717-200 photo by Airwim on Wikimedia Commons. Photo (only) released under the GNU Free Documentation License, Version 1.2. Boeing B-717-200 Training: The FAA and other some times call the jet the B-717, B-717-200 or the B717 (with no dash). Boeing B712 Training B712 is the ICAO code for the airplane that is used by air traffic controllers, airlines and others. More information on this will be posted later. Boeing 717 Training (with out the -200): Many call the 717-200 just the 717, which is the main aircraft program the plane is in (the only plane in the 717 program). 717 is also the IATA code for the jet aircraft.